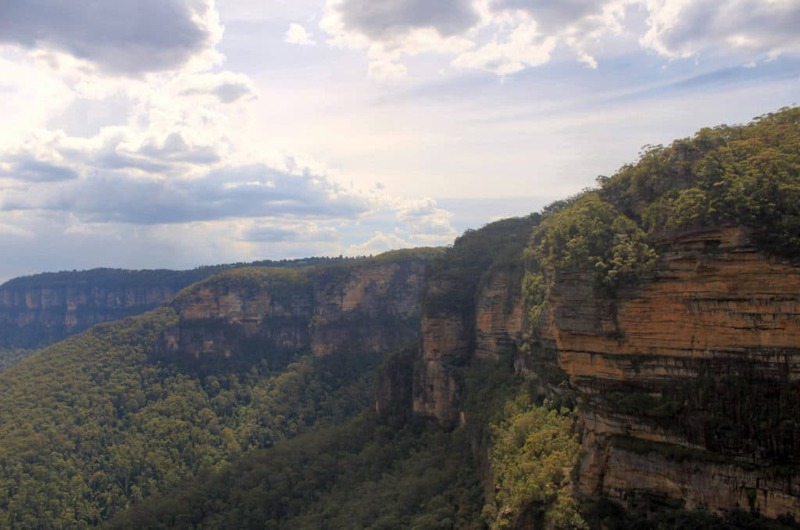 The Blue Mountains National Park has a lot to offer: hiking trails, breathtaking views, gorges and huge waterfalls. 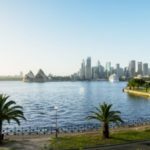 As the park is only 2 hours from Sydney, city dwellers enjoy going there for a weekend getaway. Also among wildlife lovers, the park is very popular because there are kookaburras, owls, possums and much more to see. 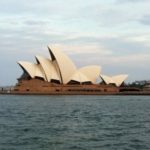 In this article, you will find all the information you need to have a splendid time in the Sydney region. The Blue Mountains Park is a huge plateau of 11,000 square kilometres (one third of Belgium!). 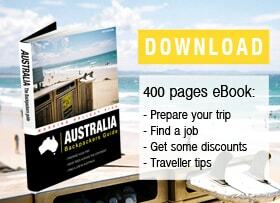 It stretches from Penrith to Lithgow and is easily accessible by car or train from Sydney. When light disperses through water vapour, eucalyptus oil, and dust, a blue haze is created, hence the name Blue Mountains. Discover the flora and fauna of the Blue Mountains on bushwalks through the park (on foot or by bike). There are a few sites, where you can go climbing or canyoning if you have got the right equipment. Depending on what you plan to do, you could stay from one to three days to get the most out of your stay the park. Be wary of bush fires (get the “FiresNearMe” app) and don’t get lost in the dense eucalyptus forests (placards are available in the park’s information spots). A visit to the Blue Mountains is also a great opportunity to immerse yourself in Aboriginal culture and learn about the legend of the three sisters. These three rocks were once aboriginal women. They wanted to marry men from an opposing tribe, which led to a terrible battle in the region. To protect the sisters, a shaman turned them into stone. Unfortunately, he died during the fight, which is why the three sisters remained petrified. Still today, they are a landmark of the park. The easiest way to explore this vast area is obviously by car. 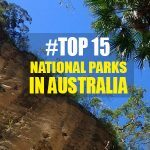 From Sydney, you only need 1.5 hours to get to the national park. You take the M4 and then the A32 to Katoomba, the starting point for all park visitors. There are other ways, too. 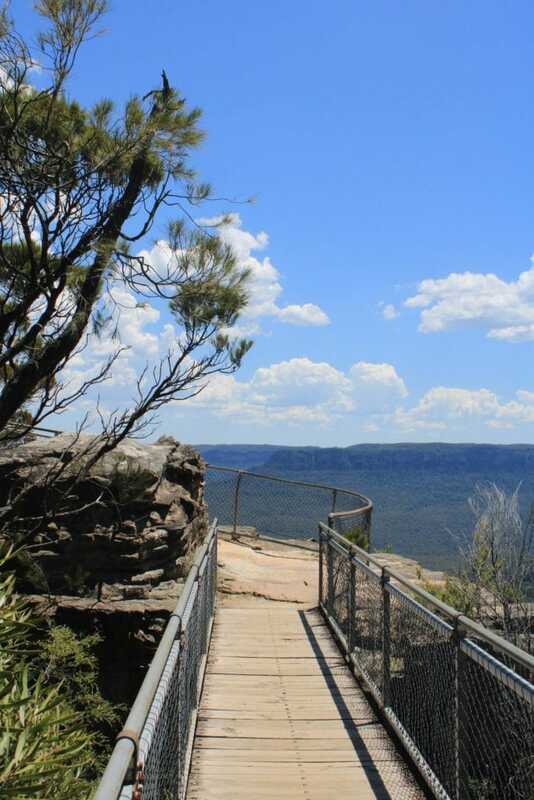 The Blue Mountains is definitely the most accessible National Park in the Sydney region. Your adventure can also begin at the Sydney Central Station, from where a train will take you to Katoomba in 2 hours. With an Opal card, you only pay about 8 AUD. The train runs every hour and stops at all stations of the park. 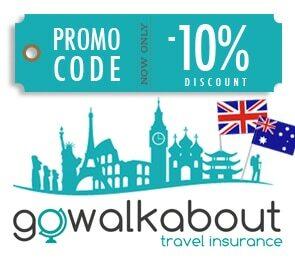 From Katoomba, you can either continue on foot or by public transport. Some people rather book a tour with a tour operator. Either on one or two days, with or without activities (canyoning, rock-climbing, etc. ), there is something for everyone. You’ll pay around $ 90 a day. For a day trip to the Blue Mountains with canyoning and abseiling, you can expect to pay about $ 200 per person. 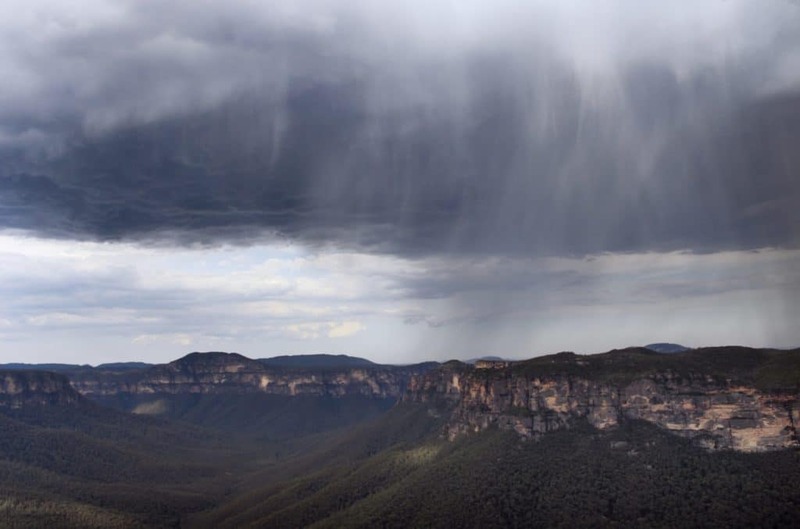 Although the weather in the Blue Mountains is better during the summer months, the other seasons are still mild and each create a different atmosphere on the plateau. Have a look at the weather forecast before you come here. The weather can be totally different here compared to Sydney and the nights are cool too. 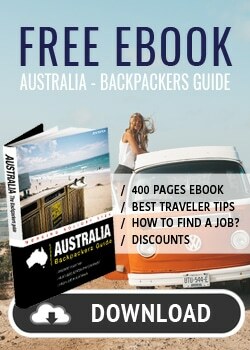 THE weather website for Australia is the one of the Bureau of Metereology. You can see all of the highlights of the park in one day. But if you want to do long bushwalks, you can easily stay here for a week without getting bored. Here is a list of things you should not miss! The first stop is just behind the gates of the park, at Wenworth Falls. In the early morning, you can escape the tourist crowds. Enjoy the view before heading to the Overcliff-Undercliff Track. After a 3.5 km walk you get a gorgeous view of the 180 m high waterfall. An ideal place for a picnic and a refreshing dip in the creek. This marks the starting point for all park visitors. At the visitor information centre, you can ask for advice and recommendations, book activities as well as rent bicycles and equipment. Apart from that, the town doesn’t have much to offer except perhaps the Street Art Walk. Visit the picturesque village of the Blue Mountains: Leura. Take a stroll along the shopping street past cafes, restaurants, crafts shops, bookstores, art galleries, and even a small farmer’s market. Sneak through the small alley that leads to the candy store. This place is every child’s dream! It’s hard to say which ones are the best as each lookout offers a different perspective on the beautiful Blue Mountains. Best stop at every one of them. Depending on the time of day, the landscapes look different. The blue of the mist can quickly turn into a dramatic-looking cloud and a stunning panorama. In addition, most of the lookouts are the starting points of hiking trails. – Evans Lookout: Perfect for the end of the day. It’s behind Katoomba. 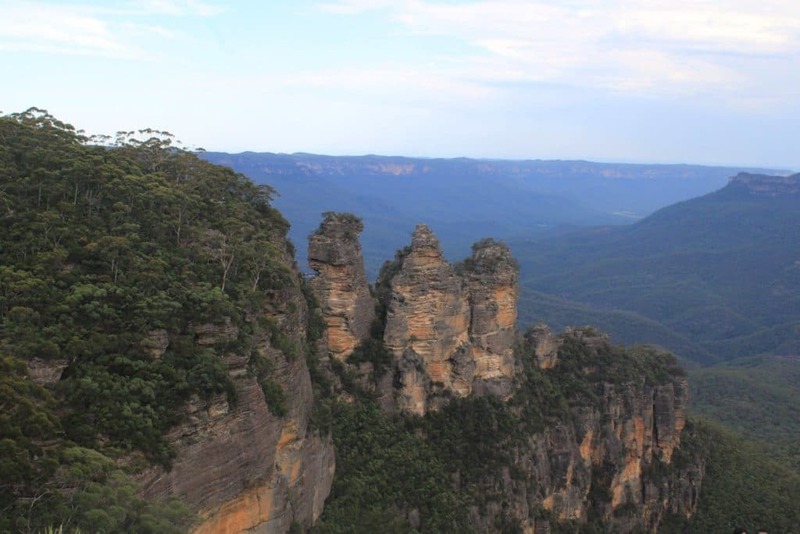 – Govetts Leap Lookout: You get a scenic view of the Blue Mountains plateau. It’s the perfect place to see the contrast between the blue of the mist and the eucalyptus green. From there, you can choose between a couple of hiking trails. – Sublime Point Lookout: This one lives up to its name offering a sublime view. Have a picnic and relax for a while. There is certainly no lack of hiking trails in this park. Find a complete list of all routes here (Link). There is something for everyone, no matter what level. From the 45-minute Three Sisters Walk to the three-day Six Foot Track, the choice is massive. – Three Sisters Walk: It takes about an hour to see the three sisters, it’s worth it! 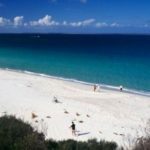 – National Pass Walk: This is probably one of the most impressive trails that will take you along the cliff over dizzying stairs. You can see things with the eyes of the first discoverers of the Blue Mountains. – Cliff Top Walking Track: From the Evans Lookout you can hike to the Govetts Leap Lookout, where you can enjoy gorgeous views of the valley and waterfalls. – Grand Canyon Track: A 6.3 km trail that runs through the valley at the foot of the Blue Mountains. To end a beautiful day in the park, we strongly recommend you to go to Lincoln’s Rock! 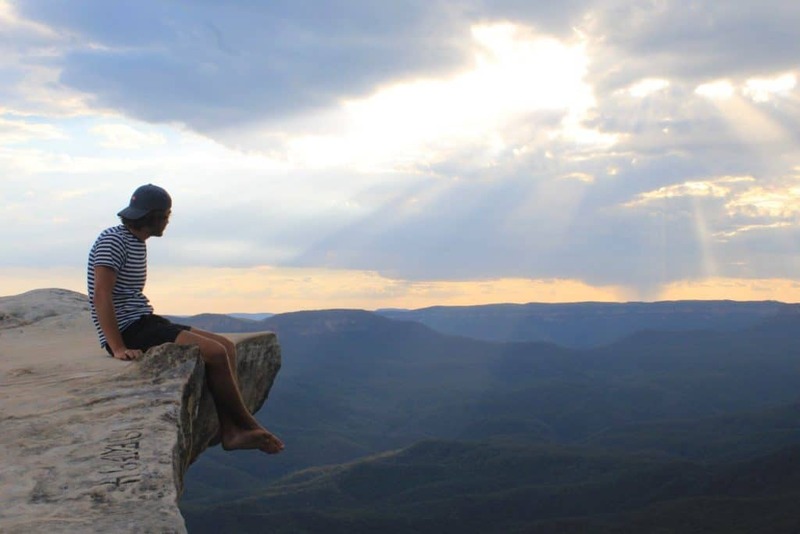 This huge, flat rock is the best possible place to watch the sunset over the Blue Mountains. It is usually not too crowded, so you will certainly find a nice spot with a breathtaking view of the valley. These are among the oldest caves in the world! Make the most of the tourist drive at dawn, as you will be alone at this time of day (from 11 o’clock, it usually gets pretty touristy). This winding road overlooking the valley and the forest is incredibly beautiful. At the end, you will drive through a giant rock via a tunnel that leads you directly to the caves. There are several caves, all listed on the Jenolan Caves website. 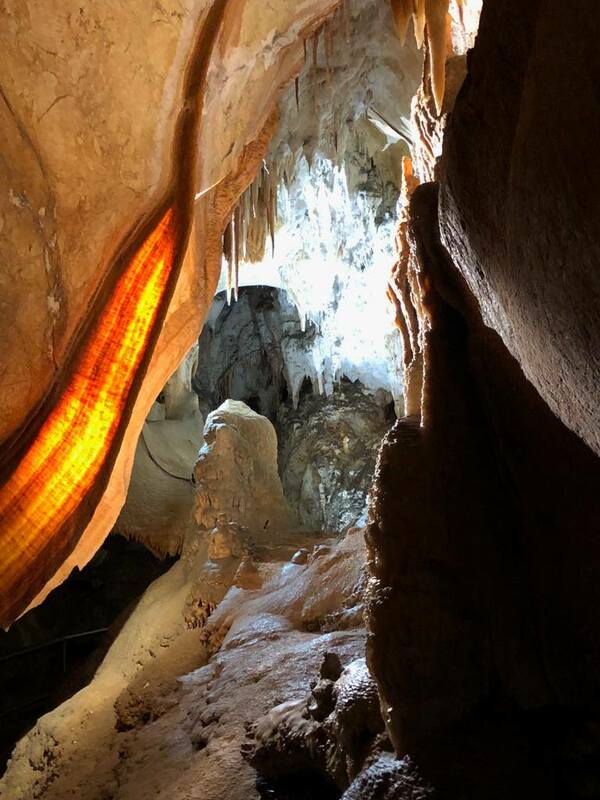 These caves in the heart of the Blue Mountains are definitely a must-see! TIP: You find packages for cave tours on the Internet, including deals with which you can visit the 2nd cave for half price. Guided night walks are also possible. To get the most out of the park and to tick most of the beautiful places off your list, we recommend a stay of 3 days and 2 nights. This means you don’t need to rush through the park and you can fully enjoy the beauty of the landscape. The first stop is at the park entrance, at Wenworth Falls. Then you drive back to Katoomba and visit the information centre. As the day soon comes to an end, do a detour to the Evans Lookout. If you still have enough time, you can also go to the Govetts Leap Lookout. Otherwise tomorrow is another day. After a traditional brekkie it is time for a nice walk off the beaten track. Have patience! You will see the Three Sisters at the end of the day when most of the tourists have gone. Choose a couple of the number of trails, depending on the difficulty and the location of your accommodation. Then you take a well-deserved break at Sublime Point Look Out before heading over to Leura. In the afternoon, it’s time to see the Three Sisters from Echo Point Lookout! To end this beautiful day, enjoy the sunset from Lincoln’s Rock. It is best to leave early to see the Jenolan Caves and the magnificent Tourist Drive. You can spend all morning there. If you have a long drive ahead of you, treat yourself to a last picnic surrounded by wallabies at the Jenolan Cottages. Share your ideas and suggestions with other readers in the comments below. Once again, Wikicamps is your best friend! 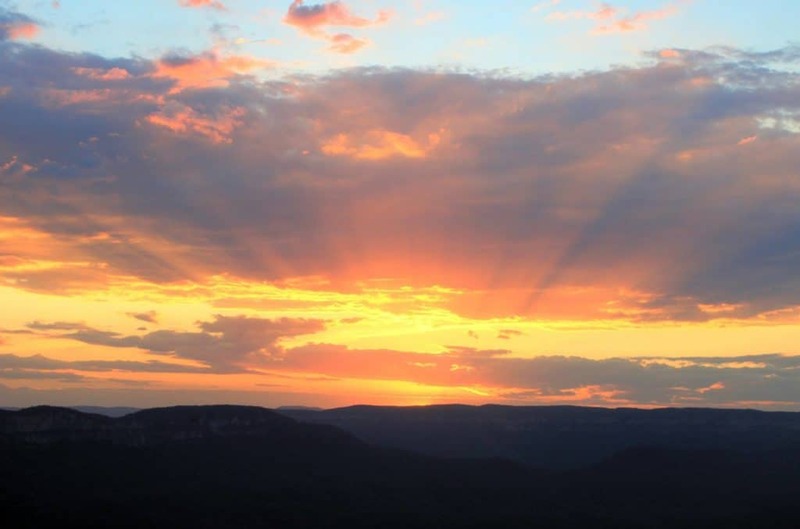 Campsites are available in Katoomba, Blackheath or Lithgow. There are also low-budget hostels and even a variety of Airbnb apartments for those who want some comfort after a stenuous day. The location depends in particular on the time you spend in the park. If you only stay for one night, it is wiser to stay near Katoomba, the tourist centre of the Blue Mountains.